The best way to increase immunization rates and protect a community from outbreak is anything but settled. Serious, thoughtful, provaccine policy scholars and policy makers disagree on whether it’s better to remove all non-medical vaccine exemptions, tighten exemptions, and so forth. A new proposal takes the discussion in a different direction. However, they don’t think removal of nonmedical exemptions is the way to get there. While acknowledging alternatives – making non-medical exemptions harder to get, or enforcing current laws better – their contribution is to offer a new alternative: allowing non-medical exemptions to all vaccines except measles vaccines, and removing non-medical exemptions for those. This post examines their arguments. For each argument it explains the authors’ claims, the response editorial’s rebuttal, and adds some thoughts. In short, while the proposal is interesting and enriches the debate, its drawbacks, in my view, far outweigh its benefits. Why do Opel et al. think removing non-medical exemptions from measles vaccines only is a good idea, superior to removing all non-medical exemptions? he measles vaccines are also both safe and effective at preventing outbreaks. Other vaccines are also generally safe, but for example, the pertussis component of DTaP isn’t as effective at preventing outbreaks. In their response to Opel et al., Byington et al. disagreed. They point out that diseases with low R0 (defined as the average number of secondary cases produced by a typical infected person in a fully susceptible population) – less infectious than measles – can cause extensive harm and be harmful, even deadly. Such diseases did, in fact, causes thousands of deaths (and led to hundreds of thousands of cases). While the required rates to prevent measles are high, herd immunity thresholds for other diseases are hardly low, ranging in the area of about 85-94%. Since school immunization requirements are extremely effective at preventing disease, the authors imply we should use them to the extent possible – without non-medical exemptions – to prevent these other dangerous diseases. The authors don’t say it in those words, but I think it’s a fair reading of their argument, and I agree with them. On the other hand, there is a potential argument that the proposal does not immediately mean return of preventable diseases. Most people vaccinate even in states that have easy to get exemptions, though the rate of exemption is higher in those states than in those with hard to get exemptions. The need to get at least one vaccine would remove exemptions of convenience, keeping rates high. I think this argument is a little tricky, since the rates of people who vaccinate selectively or on a delayed schedule are higher than of those who are completely non-vaccinated. Limiting removal of non-medical exemptions to measles vaccines would not necessarily assure rates of other vaccines remain high. The concern that this will lead to a drop in immunization rates for other diseases – a concern the authors themselves acknowledge – is very real. While it’s hard to disagree that measles is unusually contagious, I do not think the natural conclusion is that it is more important to prevent it than other preventable diseases, to the tune of removing non-medical exemptions for measles vaccines only. As Opel et al themselves highlight, some of the other diseases are more deadly or harmful than measles. The combination of measles’ contagiousness and the effectiveness of the vaccine not only creates a strong argument for maximizing rates to prevent it – and I agree with the authors on that – but make it a good canary in the coal mine. Return of measles can be a warning sign – rates are dropping to a degree where the population starts to be vulnerable to outbreaks. This allows action before other diseases with higher rates of fatalities and harms (and as the authors mentioned, measles is bad enough) return. Limiting the removal of non medical exemptions to measles may not only provide sub-optimal protection against other diseases, but remove that effect. We don’t want outbreaks of measles. But neither do we want outbreaks of diphtheria, polio or hib because we didn’t react early enough to dropping rates by tightening policy. [infobox icon=”quote-left”]… a focused policy may be easier to enforce. The tasks delegated to local schools and health departments in assessing valid vaccine doses are complex and vary according to vaccine. Whereas schools and health departments may be overwhelmed with enforcing medical-only exemptions for all required vaccines, doing so only for MV seems less onerous. I admit I found this argument surprising and counter-intuitive. The existence of a different approach to measles virus makes the situation more complex, not less, in my view. A school official faced with the existence of non-medical exemptions for all vaccines checks the doses – and checks if there’s an exemption. If there’s an exemption, it’s less important if all doses are in place. If there are exemptions for all vaccines except measles vaccines, a school official will have to check the doses, see if there is an exemption, and remember that even if there is an exemption, the student still needs to have two doses of MMR absent a medical exemption. It seems to add an enforcement burden, not reduce it, and to increase the potential for mistakes in implementation. Maybe not a lot, but it doesn’t simplify enforcement. Opel et al. suggested that non medical exemptions generate opposition and can lead to backlash, and appropriately point to the California experience to highlight the role of a motivated, passionate opposition (though their other references don’t show widespread opposition to requirements without exemptions). They point to the failure of laws aiming to remove non-medical exemptions in various other states besides California. And they are certainly right that it’s hard to pass such laws. Not only is it hard to pass laws in the United States generally; it is often harder to do so when the law limits previous freedoms, even to protect others. There is also a passionate, if small, opposition in place. But going from there to non-medical exemptions only for measles vaccines is trickier. First, it’s unclear the opposition will be less passionate there. We have seen extremely passionate and hostile opposition to laws adding an educational requirement without removing non-medical exemptions from any vaccine, for example, stopping such a requirement in Colorado. 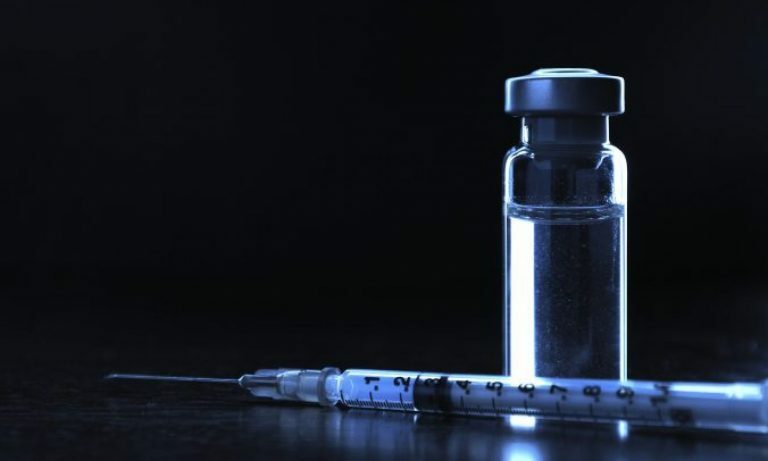 Moreover, some of the opponents wrongly believed MMR causes autism – leading them to strongly object to this specific vaccine (editor’s note–there is robust evidence that MMR vaccines are not linked to autism). To remind readers, currently there is no single measles vaccine available in the United States; and it’s not clear a move to single vaccine would be desirable. It is very plausible to anticipate as strong opposition to removing exemptions to measles containing vaccines from the same small, passionate groups. Beyond those groups, it’s not clear how much appeal opposing removing non-medical exemptions has. Opponents of California’s SB277 (more information) have failed in collecting the small percentage of signatures needed to put the statute to a referendum. They also failed to mount a recall effort against the bill’s supporters. It’s unclear that the opposition in Oregon and other states went beyond the small but passionate minority that would oppose any tightening of exemption laws. So I’m not sure the proposal would, in the real world, improve the political feasibility of the laws – and as discussed by the authors themselves, it certainly carries potential costs. Please help me out by Tweeting out this article or posting it to your favorite Facebook group. Finally, you can also purchase anything on Amazon, and a small portion of each purchase goes to this website. Just click below, and shop for everything. Byington et al. disagreed, pointing out that the doctrine focuses more on very strong limits on liberty, such as quarantine, and does not apply to all public health measures. They also mention (correctly) that the law does not require any non-medical exemption. I would add two points. First, if our goal is the least restrictive measure, why is it removing non-medical exemptions from measles vaccine only, rather than leaving non-medical exemptions in place but making them hard to get? Second, when we are talking about school immunization requirements, consideration of liberty and autonomy do not apply precisely in the same way. Children do not have the same autonomy as adults. It is up to their parents and the state to protect them, since they do not have the same capacity to make autonomous decisions. When the least restrictive alternative means sacrificing the health of the unvaccinated child to preserve the autonomy of the parent to reject science, is it fair to apply it in the same manner? Opel et al. correctly point out some potential negative results from their proposal. They highlight that removing non-medical exemptions from measles vaccines only might contribute to a misperception that other vaccines are less important. They respond to that by correctly pointing out that the vaccines required for school in most states are already different than the schedule recommended by the CDC. They are right, but that does not invalidate the concern; to my knowledge, there isn’t research on whether uptake is higher for required vaccines or not, and that is a question worth exploring. They point out that their proposal can lead to increased demand for a monovalent vaccine (and correspondent reduction in protection against the other diseases, mumps and rubella). This is not a theoretical concern: it is more or less what happens in Japan. Debating the best policy to achieve high immunization rates is important, and should draw – as here – on scientific facts and thoughtful policy considerations. Opel et al’s proposal advances the discussion. But at the end of the day, the authors did not make a strong case that it is superior to other proposed alternatives. This article is by Dorit Rubinstein Reiss, Professor of Law at the University of California Hastings College of the Law (San Francisco, CA), is a frequent contributor to this and many other blogs, providing in-depth, and intellectually stimulating, articles about vaccines, medical issues, social policy and the law. Professor Reiss writes extensively in law journals about the social and legal policies of vaccination. Additionally, Reiss is also member of the Parent Advisory Board of Voices for Vaccines, a parent-led organization that supports and advocates for on-time vaccination and the reduction of vaccine-preventable disease.